W Hotels Worldwide, now part of Marriott International, today announced it will open W Algarve in 2018 on Portugal’s stunning sun-kissed Algarve coast. Developed in partnership with Nozul Algarve, S.A., the vibrant oceanfront oasis will overlook the breathtaking coastline and the beckoning waters of the Atlantic Ocean. 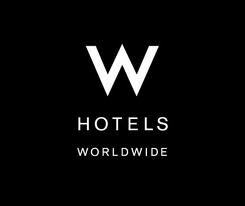 The debut will mark the third W Escape in the Europe, a newly created portfolio of W Hotels located in ski, sand and entertainment destinations around the world, that make the traditional ‘resort’ a last resort. Located on a 250,000 square meters of beachfront on the central Algarve coastline, W Algarve is an escape for extraordinary experiences which is set to ignite the local scene with its electrifying style, innovative design, and full calendar of exclusive W Happenings, showcasing what’s new / next in fashion, music and design. The hotel will offer 134 stylish guest rooms and suites, including two Extreme WOW Suites, the W brand’s reinterpretation of the Presidential Suite. Guests and locals will enjoy relaxing at one of W Algarve’s three beautiful beaches or sipping a cocktail at the glamorous WET deck pool, which is set to become the most sought-after place to mix and mingle with stunning views over the Atlantic Ocean. Guests will also be able to indulge in the extravagant 10,000 square foot spa or unwind with outdoor yoga, tennis or in FIT® – the ultimate workout facility. W Algarve will offer a range of cocktail and culinary experiences from the W Living Room, the W brand’s energetic spin on the hotel lobby, to sought-after restaurants and dynamic destination bars. These new venues are set to reignite the Algarve’s dining scene with the brand’s bold twist on contemporary cuisine. W Algarve will also cater for those who need to mix a little work with play, offering two ultra-modern meeting rooms to elevate any meeting from ordinary to extraordinary. The 500 square meter state-of-the-art meeting rooms are complemented by extensive outdoor facilities ideal for vibrant open air events or beachfront celebrations. The brand’s iconic Whatever/Whenever service will be available 24/7, providing jetsetters with whatever they want — from late night manicures to speed boat experiences —whenever they want it. For those looking for a permanent home on Portugal’s golden coast, Nozul Algarve S.A., the owner of the W Algarve, will offer 81 W-branded Residences for purchase, featuring one, two and three bedroom units with spectacular ocean views. The W-branded beachfront Residences in the Algarve are the first in Europe offering owners access to all W amenities and services, including preferred dining reservations and seating at the hotel’s restaurants, bars and lounges; in-residence dining and STYLE housekeeping services; a private W Residences pool and the brand’s signature Whatever/Whenever® service promise. These stunning Residences can enter an optional rental program managed by the hotel. In addition, there are 24 W branded “hotel-residences” within the main hotel building, where ownership is limited to specific periods of the year. Owners will have the opportunity to call W Algarve home while enjoying the full flexibility of a shared property system. From Bali to Barcelona, Verbier to Vieques, W Algarve will join the newly created W Escapes portfolio, which embodies the brand’s bold and modern twist on leisure travel in the world’s hottest destinations. Providing epic experiences for adrenaline-seekers and lounge junkies alike, W Escapes currently includes ten W hotels in the ultimate sand, ski and entertainment enclaves around the globe, with many more to follow. In true W style, each W Escape provides a Sunset Beats ritual to warm up for the night ahead. From live drummers at W Barcelona’s WET deck, to energetic DJ sets on the beach at W Maldives, to lounge music and cocktails around the fire pit at W Vieques, the ritual is inspired by the sounds of bongos in Goa and the tunes of the infamous beach clubs of Bali and Ibiza. Each Sunset Beats session is a primitive, transitional ritual that pays homage to the hotel’s local music scene, drawing guests in with every beat to mix, mingle and play. In addition, W Insiders (the W brand’s amplified take on the hotel concierge) from every W Escape have created the ultimate #hitESC experiences. These humblebrag-ready activities take things to another level, from cliff jumping into the Indian Ocean at W Bali, to heli-skiing at W Verbier, to spinning the decks with a world-renowned DJ at W Barcelona’s rooftop bar. Whether a guest wants an oceanfront view or a soaring city skyline, there is a W Escape to match their leisure plans – no matter how relaxing or raucous. The W Escapes portfolio currently includes: W Maldives, W Koh Samui, W Vieques Island, W Bali – Seminyak, W Verbier, W Barcelona, W Fort Lauderdale, W South Beach, W Singapore – Sentosa Cove, W Punta de Mita, and the upcoming W Goa, W Las Vegas, W Dubai – The Palm, W Aspen, W Kanai Riviera Maya, W Phuket, W Costa Rica, W Sanya and W Algarve.